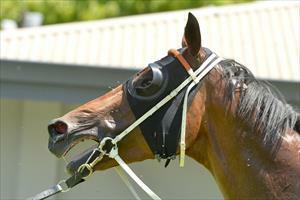 Bolek made all the running to put the older horses in their place at Mornington on Wednesday. Rated in the lead by Patrick Moloney, Bolek was clear around the home turn and then galloped all the way to the line to defeat Sleek Acheeva by 2 1/4-lengths in the Open Maiden Plate over 1200m. Patrick Moloney said the win was as impressive as it looked. “We found the fence fairly quickly and that was the plan,” Moloney said. “He was a bit green under pressure his first start and today we thought we’d be positive on him like we have been doing in his jumpouts. “He can be a bit lazy on the track at home but second-up and with natural improvement Mike was expecting a good performance and to the horses credit he’s delivered. A three-year-old son of Swift Alliance, Bolek was purchased at the 2016 Inglis Classic Sale by Paul Moroney.